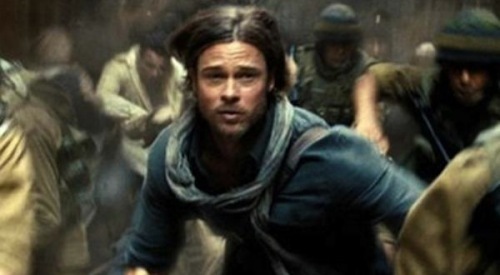 Capitalizing on the popularity of Marc Forster’s zombie thriller World War Z, Paramount and IMAX Corporation today announced that they are teaming to bring Brad Pitt’s summer blockbuster to select IMAX theaters for a limited engagement beginning on August 2. Though early buzz on the apocalypse disaster movie pegged it as a failure – plagued by a broken ending and too much tinkering – the finished product actually has become a massive success. World War Z has earned more than $460 million at the worldwide box office, and Paramount has started the ball rolling on sequel discussions. This IMAX rerelease is yet another vote of confidence for Forster and Pitt’s summer blockbuster. Find out where it’s playing on the movie’s official website WorldWarZMovie.com. That got us thinking, though. What other 2013 movie would you like to see back in theaters, preferably on IMAX? A number of excellent summer blockbusters already tried their luck at the IMAX format, from Man of Steel to Pacific Rim. Could you think of a movie that DIDN’T screen in IMAX this year that you’d like to see in the large-screen format? Here are the three movies I’d like to see in IMAX 3D. They won’t happen (at least, I don’t believe there are any plans for conversions at the moment), but wouldn’t it be great to see them translated to the biggest screen possible? What would your choice be? And will you see World War Z again when it comes out in 3D IMAX? Share your thoughts below! 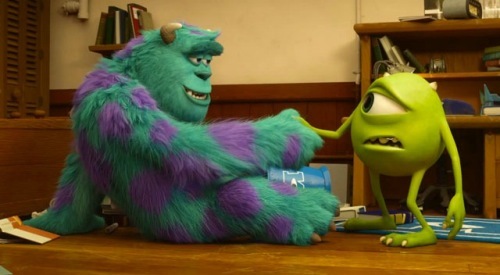 Pixar regularly does 3D conversions of its animated masterpieces. I don’t believe it has ever converted to IMAX. But there are so many details worth exploring on the campus of Monsters University that I’d love the chance to revisit Dan Scanlon’s comedy and scour the backgrounds of the various, colorful scenes. Chan-wook Park’s eerie, chilling Stoker happens to be one of my favorite films released this year. It’s also the most beautifully shot drama, and the homage to Hitchcock and De Palma would look disturbingly gorgeous in 3D IMAX. Bonus points for being able to run Clint Mansell’s terrific score through the enhanced IMAX sound systems. Nicolas Winding Refn’s latest collaboration with Ryan Gosling has divided audiences, with detractors claiming (perhaps with merit) that the violent blood ballet is more focused on stark imagery than in telling a worthy story. That’s hard to argue. Though it’s also impossible to argue that Forgives isn’t one of the most vibrant, breathtakingly photographed films, and if we were able to see Refn’s color palette explode on the IMAX screen, it just might swallow us whole.